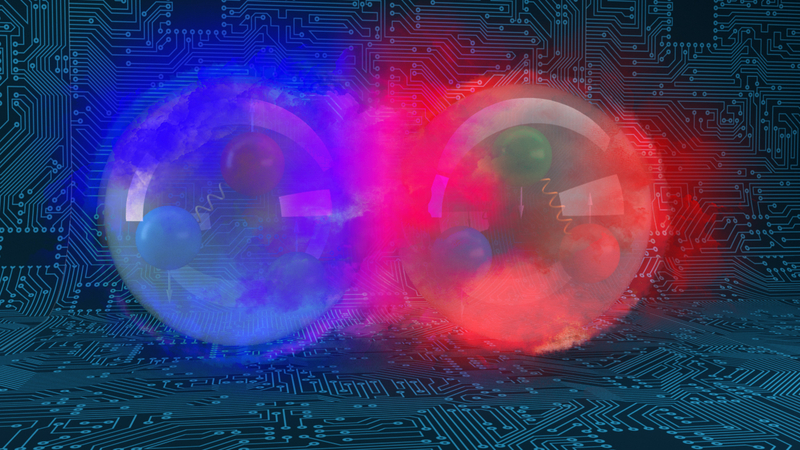 ORNL scientists leveraged XACC software as part of the first successful simulation of an atomic nucleus using a quantum computer. Credit: Andy Sproles/Oak Ridge National Laboratory, U.S. Dept. of Energy. September 4, 2018 - Computer scientists at Oak Ridge National Laboratory have developed an open source software platform that allows quantum programs to run on multiple quantum computers regardless of their unique architecture. Quantum computers promise to revolutionize modern computing. Their systems are based on quantum physics, where each quantum bit, or qubit, represents both a 1 and a 0 at the same time. “Several companies have developed quantum computers, and each has associated software that users must learn in order to execute programs,” said Alex McCaskey of ORNL’s Quantum Computing Institute. “To enable application portability, we have created a heterogeneous programming model called XACC that allows quantum acceleration within standard or high-performance computing software workflows in a quantum language and hardware independent manner.” ORNL scientists leveraged XACC as part of the first successful simulation of an atomic nucleus using a quantum computer. Details of the XACC programming model were published in SoftwareX.